Kenlissa Jones case: Murder charge against woman who took abortion pill dropped. 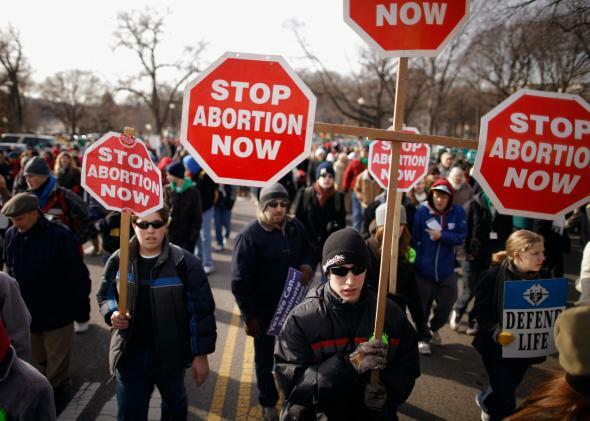 A crowd of anti-abortion demonstrators march in Washington, D.C.
Jones, a 23-year-old Georgia resident, was charged with malice murder on Saturday after taking an abortion pill she procured online. The pill, Cytotec (or Misoprostol), is only safe for women in their first trimester of pregnancy. But Jones was over five months pregnant, and the pill caused her to deliver her non-viable fetus live, in the back of a car on the way to the hospital. The fetus died shortly thereafter. Had Jones’ prosecution for murder continued, she may have faced the death penalty or life in prison.